Peter Peryer's photographs deal with the enigmatic and uncanny in a subtle and poetic way. Indeed, the artist regards his photographs as poems, and the layers of meaning which emerge through looking at the work are an important part of the subject matter. These photographs are part of an ongoing body of work called ‘Third nature’. ‘Third nature’ continues the artist's interest in the intimate relationships between the ordinary and eccentric; natural and manufactured objects; the metaphysical and mundane; and history and the present. These relationships are never posed within the photographic frame as being anything other than complementary and overlapping. ‘After Rembrandt’ recalls, and in a sense reconstructs, Rembrandt’s 1650 etching of the Conus Marmoreus shell (‘The shell’). Peryer pays homage to Rembrandt’s attention to the details of light, ageing and suffering which he encapsulated within a humble shell. Peryer’s images are simply constructed, his compositions often containing a single subject or element. ‘I work in an additive way. I tend to start with a blank picture and add the elements one by one. That’s one of the reasons why so few of my pictures have horizons because it is quite hard to control the background … a painter can subtract or alter – I just build up.’1 This ‘building up’ process is evident both in the construction of individual photographs and in the manner in which when viewing Peryer’s body of work a ‘template’ of similar forms emerges – recurring motifs building connections and resonances. In ‘Thea’s hand’ 1997 (AGNSW collection) the elemental simplicity of Peryer’s work is apparent, as is the additive process by which he constructs an individual image. This image considers the difficult position for men in contemporary society in relation to sharing and expressing genuine affection and tenderness with a child. Peryer compellingly expresses these ideas with integrity and gravity in a photograph which has a subtlety and simplicity appropriate to the child’s touch it evokes. A young girl’s hand gently presses on a man’s with trust, control, love and assurance. The man’s hand faces palm down, a position that cannot be misconstrued, pressed onto an indistinguishable background whose material nature is undefined but whose appearance is almost skin-like. The image suggests a touch that resonates onward, a chain effect. Signed c. verso, pencil "Peter Peryer". Not dated. 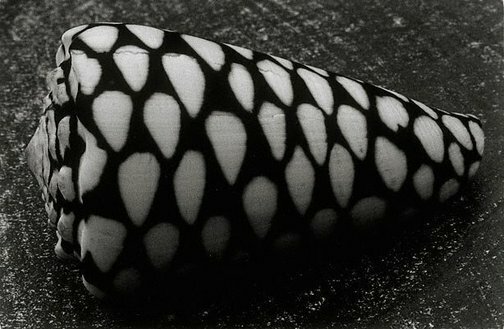 Judy Annear, Photography: Art Gallery of New South Wales Collection , 'Magical realism', pg.226-245, Sydney, 2007, 238 (illus.). The Art Gallery of New South Wales - Jan-Jun 1997 Calendar , Sydney, Jan 1997-Jun 1997, (illus.). Das mab der dinge [The measure of things] , Zurich, 1998, (illus. ).